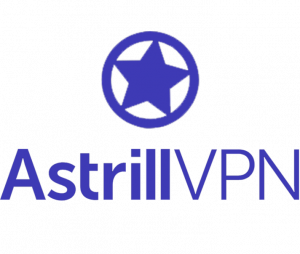 Astrill VPN is a rapidly growing service that offers users unhindered protection, bandwidth and speed on all of their VPN plans. Astrill VPN certainly prioritizes user privacy and security, however one major drawback with this VPN is that it keeps partial logs. That’s not to say Astrill VPN doesn’t have some fantastic security features. It’s evident they do have a passion for your protection with their strong encryption and large network of servers that all use OpenWeb, StealthVPN, OpenVPN, L2TP/IPSec, Cisco IPSec, IKEv2, PPTP and SSTP protocols. Astrill VPN has dedicated apps for iOS, Android, Mac, Windows, Linux, and routers meaning that it is built to cater to the security needs of any user. These apps are also very intuitive and can be downloaded and installed within minutes. Yet, the most notable feature of Astrill is its ability to bypass the Great Firewall of China and it’s actually widely considered to be one of the best VPNs for this task. If you’re looking to watch your favourite shows, Astrill claims it can bypass the tough geoblocks of big companies such as Netflix and Hulu. They also have several extra features that can help you avoid buffering. We suggest taking these claims with caution however, as many users complain that they are false. All in all, we’ve found that Astrill VPN is a great alternative to some of the more premium VPNs on the market. But if you want a VPN that can get you into Netflix and Hulu all over the world, then it might not be the right fit for you. Astrill VPN has 337 servers in 49 countries. Astrill VPN’s apps for iOS, Android, Mac, and Windows are very user-friendly and can be installed and setup in minutes. There are also pretty much no requirements for any configurations before use. Once you log in, server selection is seamless and it’s very straightforward to navigate the app. They also have an amazing 24/7 support and although there are sometimes delays in their response, they have certainly made immense improvements over the past few years. Users can now contact them using email, tickets and live chat which is pretty responsive.